Do you panic when you think about the cost of having your heating or central air conditioning system repaired? 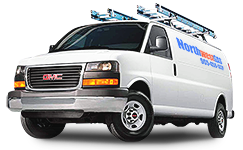 Did you know that Northwest Gas Limited offers an affordable extended warranty plan for your heating and/or central air conditioning system that covers the cost of all service calls, replacement parts and labour? Once your plan is in effect, you will pay nothing* towards the cost of repairing your air conditioner and/or furnace for one full year! Our Furnace Protection & Maintenance Plan includes service to all makes and models plus annual furnace cleaning and inspection, and one free filter at time of maintenance. Our Air Conditioning Protection & Maintenance Plan includes service, parts and labour to all makes and models plus annual a/c cleaning and inspection, and one free filter at time of maintenance. Our Air Conditioning & Furnace Protection & Maintenance Plan includes service, parts and labour to all makes and models plus annual furnace and air conditioning cleaning and inspection. This protection plan also includes one free filter at each time of maintenance. * HST extra. All plans administered by Integrated Warranty Systems Inc., London, Ontario and underwritten by Travelers Guarantee Company of Canada. Some restrictions apply, please call for details. Prices subject to change without notice.